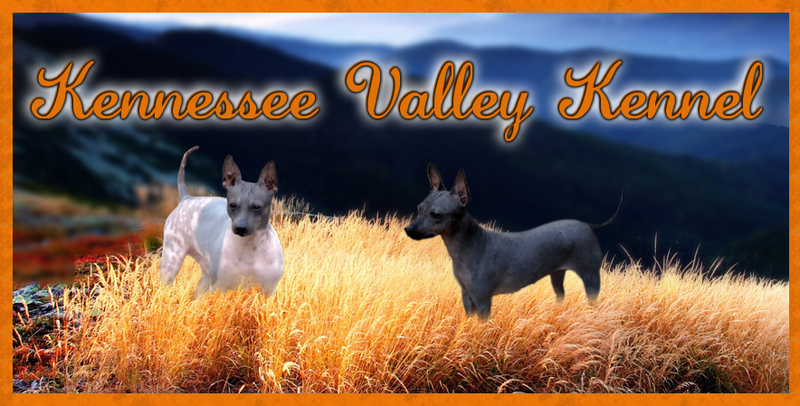 We are a small kennel located in Franklin, Kentucky very close to the Tennessee state line. Here at KVK we strive to produce Healthy and Happy... American Hairless Terriers (AHT's) Correct in conformation, with willing pleasant dispositions. AKC / UKC registered, Patella, Cardiac, PLL, PRA-PRCD, DM and vWD Health tested, Companion, Show and Performace home. Pre-Screening and Contract required. Known to us as "Able"
Able is a beautiful White and Black Tri Piebald Coated Carrier. Watch for him in the showring soon.